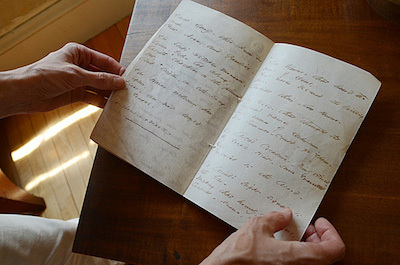 During her lifetime, Emily Dickinson wrote poems that were bundled together as a cluster of pages called a fascicle. These bundles of pages were not found until after her death by her sister Lavinia who had been willed all of Emily Dickinson's earthly possesions. In total, there were 40 different fascicles, or booklets, of more than 800 poems. These poems were then published in print and edited up to the editors' discretion. These published versions were often changed from Dickinson's originals. For more information about these publications, visit the Emily Dickinson Museum site. 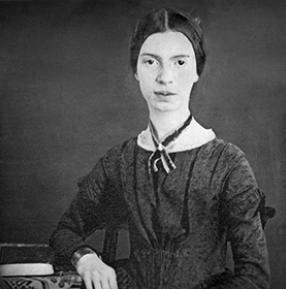 Our site originally was created to repurpose two previous sites and serve to look at the differences among the original manuscripts and the many publications of Emily Dickinson's Fascicle 16. However, after this first successful repurposing, the site strives to transcribe, code, and analyze the poems of all 40 of Dickinson's fascicles, adding even more publications to our original list. Follow the links in the menu bar above to browse our site and the collections of poems. The directions on how to view the different variations of the poems are located on the Poems page for each Fascicle, as well as below the buttons on each poem. We hope you learn as much as we did about the variations among Dickinson's original manuscripts and publications! Last, thank you to Dr. Elisa Beshero-Bondar and firebellies for housing the Emily Dickinson Project!